The lawsuit was brought by over 4,200 retired players. They claim that having sustained repeated, traumatic blows to the head, they now suffer irreparable neurologic harm. Stuides have compared the brains of NFL players to brains of normal people and show significant damage to the brains of those NFL players. Retired players have reported cognitive issues such as depression, anxiety, Post Traumatic Stress Disorder (PTSD), Mood Disorders, memory loss, early dimensia, suicidal ideations and all sorts of other nasty stuff. High profile linebackers Junior Seau and Jovan Belcher both recently committed suicide. Their brains showed significant atrophy and damage. In an interesting twist, which this lawyer imagines can only support the players in this case, the league has changed a number of its in game rules over the past 5 years. Hits to the head are illegal. They didn’t use to be in the past, as players could lead with their head on the head of an opponent to use it as a battering ram. 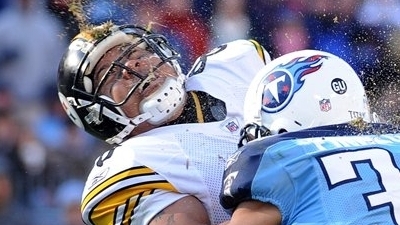 Concussion testing is mandatory following a hit to the head. If you’ve ever watched Toronto’s professional hockey team, you will know that any player who gets hit in the head has to spend some time in what they call a “quiet room” to make sure that the player is ok and not concussed. One of the most obvious rule changes to the NFL has been on the kickoff. They now take place closer to the opposing team’s endzone, which has resulted in more touchbacks. This means that players have fewer opportunities to run the ball out of the endzone to minimize injury. They say that kickoffs were the most dangerous plays in the game, and have resulted in countless personal injuries, including brain injury and concussion. This issue is so serious that the NFL players union has chartered a $100 million study at Harvard to get to the bottom of this. Having assisted accident victims and their families for years across Ontario, I’ve seen loads of brain injury, concussion and head trauma cases spanning from Toronto to London to Peterborough and beyond. I’ve seen people lose their sense of smell and taste from a simple slip and fall. I’ve seen people become manic depressive following a non-fatal car accident. I’ve seen people’s personalities change completely following a bicycle accident, even when the vicitim was wearing a helmet. They say that trauma which the body, let alone the brain experiences playing in one game of professional foottball is akin to being involved in 50 traumatic car accidents. Ever met a retired pro football player? If he wasn’t a kicker or a back up quarterback, chances are they got pretty beat up during the course of their careers and it shows. They might walk with a gait, or have less obvious psychological problems. This is what makes this class action law suit so intruiging. Win or lose, the players are putting a spot light on the dangers of brain injury and concussion and changing their sport for the better. The new safety rules implemented by the NFL are only improving conditions for all those who play the game both at professional, amateur and recreational levels. Much like when Sidney Crosby was out with a concussion 2 seasons ago in the NHL, these retired NFL players are doing their job to improve their sport. I hope that the Judge rules in their favour, and gives them the compensation which they deserve. I know what you’re thinking. You aren’t the judge, you don’t have all of the facts, yet you think that the players deserve compensation for their alleged injuries? Seems far fetchd and premature. I know. But I do believe that the players have been wronged and I believe that they deserve compensation fromm the league. Call it a personal injury lawyer’s bias, call it what you will. It’s just in my blood. Every year Goldfinger Injury Lawyers donates 100 bike helmets to kids in need who can’t afford them. I think we should also get on the bandwaggon for hockey helmets and football helmets. I know I’m not alone in raising brain injury awareness.